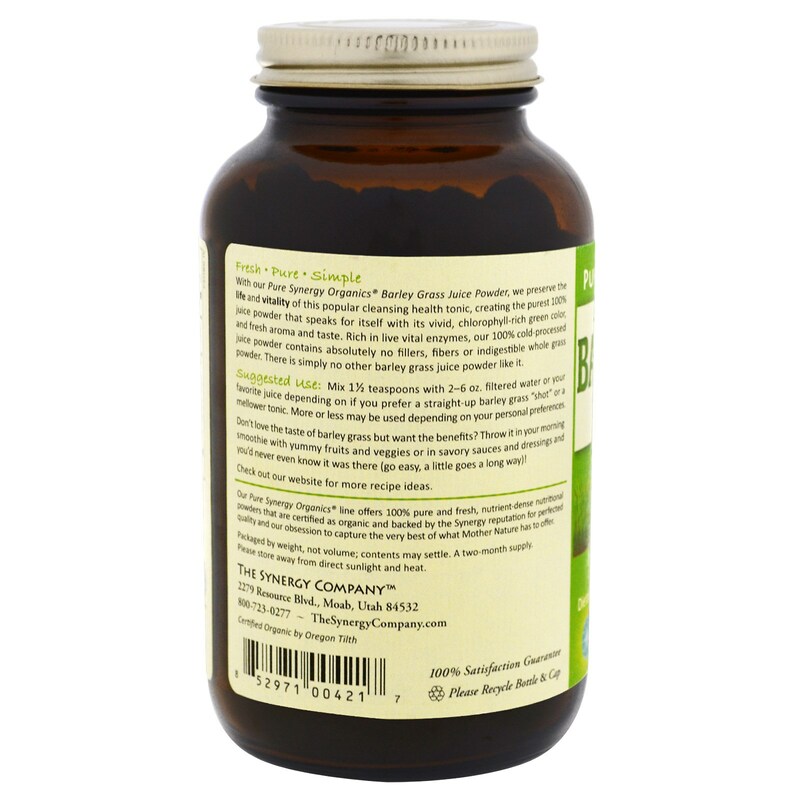 With our Pure Synergy Organic Barley Grass Juice Powder, we preserve the life and vitality of this popular cleansing health tonic, creating the purest 100% juice powder that speak for itself with its vivid, chlorophyll-rich green color, and fresh aroma and taste. Rich in live vital enzymes our 100% cold-processed juice powder contains absolutely no fillers, fibers or indigestible whole grass powder. 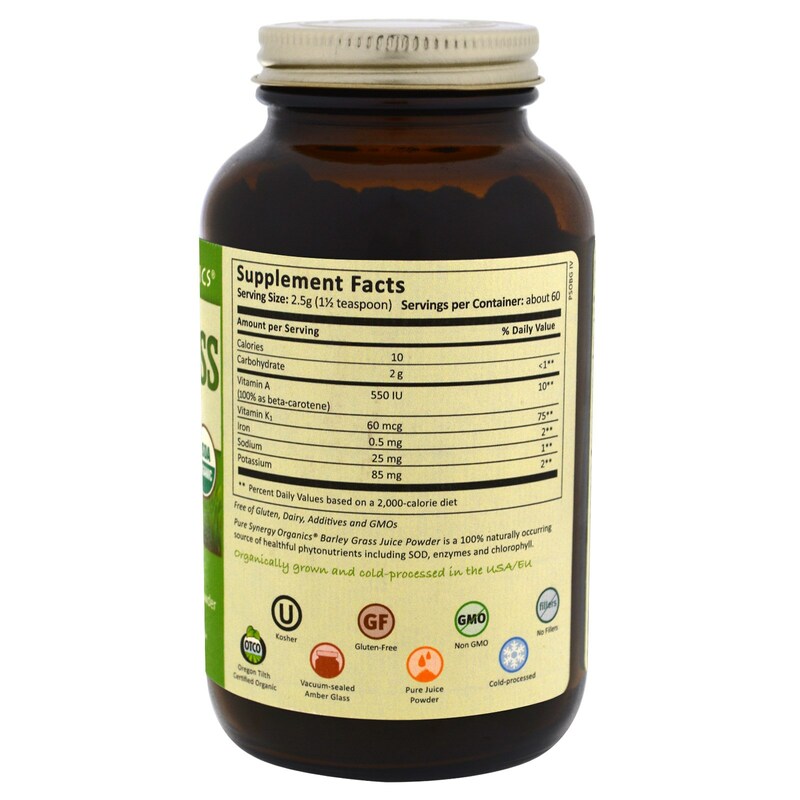 There is simply no other barley grass juice powder like it. Our Pure Synergy Organic line offers 100% pure and fresh, nutrient-dense nutritional powder that are certified as organic and backed by the Synergy reputation for perfected quality and our obsession to capture the very best of what Mother Nature has to offer. Mix 1 ½ teaspoon with 2-6 oz. filtered water or your favorite juice depending on if you prefer a straight-up barley grass "shot" or mellower tonic. More or less may used depending on your personal preferences. 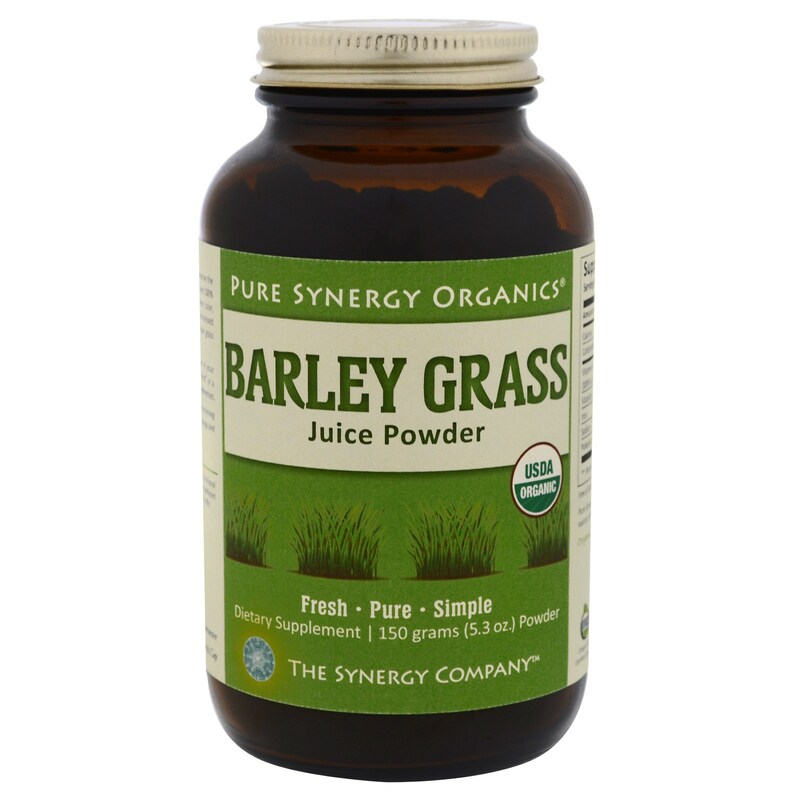 Don't love the taste of barley grass but want the benefits? Throw it in your morning smoothie with yummy fruits and veggies or in savory sauces and dressing and you'd never know it was there (go easy, a little goes a long way)! Pure Synergy Organic Barley Grass Juice Powder is a 100% naturally occurring source of healthful phytonutrients including SOD, enzymes and chlorophyll. Packaged by weight, not volume; contents may settle. A two-month supply. Please store away from direct sunlight and heat.